Specialize in wedding cake cookies and wedding cakes with handmade flowers. European pastry shop specializing in wedding cakes and tarts, menu offered for lunch and daily selection of breakfast pastries. Full service wedding co-ordinator,customized menus, wedding cakes and a state of the art banquet facility. Truly authentic family style pasta dinners. Serving the Chicago land area for over 25 years specializing in custom wedding catering on site 10 different venues for brides to choose from, custom packages with budget. Interactive stations, creative plate presentations and imaginative buffets are our specialty. Third generation business specializing in wedding cakes, sweet tables and chocolates. Specialize in Wedding cheesecakes, cakes and sweet breads. Mailorder: We can ship our desserts anywhere in the United States. Commercial Accounts that wish to establish Drop Ship Programs should contact our office at 773-465-6733 and ask for Janet Rosing. Specializing in corporate and social off premise catering. Specializing in fresh meat and sea food, custom catering available. Staff and rental's available as well. Wedding cakes, Party cakes, sweet tables. Elegance and old fashioned goodness, is what we bring to you when you order: pastries, cookies, tortes, cakes, etc. We specialize in corporate events, weddings, holidays, parties, sweets and goodness. We realize that your wedding day is the most important day in your life, and we believe that everything should be perfect. 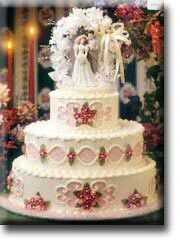 Your wedding cake will be the central ornament at your reception. This cake should be an elegant and beautiful symbol of the first day of your life together. It should also taste wonderful. Planning a wedding can be a very time consuming project. It takes time to make sure all the details are just right. We can ease this burden by setting up a free consultation to assist you in designing your wedding cake and sweet table. You well also have the opportunity to taste your selection and choose from a variety of beautiful ornaments, should you so desire. From casual to black tie affairs, full meals and hors d'oeuvre's. 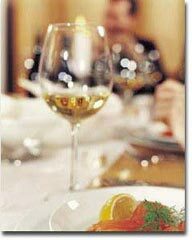 Customized caterers for weddings, venues and special events throughout Chicago. All recipes are prepared with market fresh ingredients then creatively displayed for an elegant presentation. On the cutting edge of wedding cake design.